Return to Zork is an adventure game released in 1993 and is the first in the series to make use of graphics (rather than being a text based adventure). 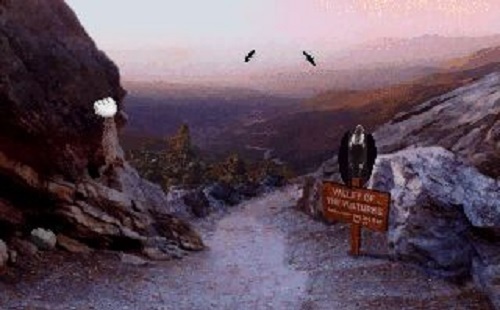 Overall the game has a vibe similar to Myst, an extremely popular point and click adventure game released around the same time. In Return to Zork you play the unfortunate winner of a sweepstakes contest that gets an all-expenses holiday to Zork. Once players reach their destination though they quickly discover something is off about the place and that it has been overtaken by a dark and mysterious power. It’s up to you to save the inhabitants in the Valley of the Sparrows through exploration and investigation of this new evil power that calls itself Morphius. 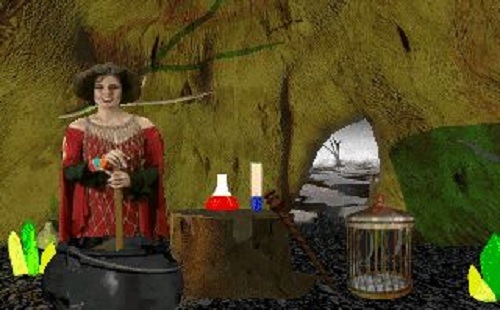 Like many other games of its time Return to Zork uses video captured actors to serve as NPCs in the game world. The most impressive feature of the game though is the multiple ways players can interact with an object. Unlike many other adventure games that allow only one or two options for a given item in Zork you can expect to have half a dozen options for everything in the game world. This large number of options and freedom ties into the multiple endings that Return to Zork has to offer. Each of these multiple endings is reached a different way based on how you advance through the game and ultimately complete it which means replay value is extremely high, especially considering the year that this game was released. All in all there are a total of 6 different ways to finish Return to Zork. This multiple options philosophy also extends to the various puzzles players will have to complete with nearly all puzzles having 3 or more different ways to get past them so players don’t have to follow a strict linear solving adventure. If you find the logic in puzzle adventures sometimes frustrating you’ll really love the freedom and options in Return to Zork which lets you approach the game in multiple ways. The first Zork game to not use a text based interface. Multiple ways to complete the game gives great player freedom. Puzzles also have multiple solutions. Lengthy campaign and story to enjoy. Released in 1993 and still a top notch point and click adventure.